Malibu Media, LLC v. Doe lawsuits have plagued the US federal courts so far with over 6,000 lawsuits filed nationwide. The burden to the courts to manage each of these cases is large. The emotional and financial burden to families faced with subpoenas sent to their ISPs forcing them to decide whether to file a motion to quash the subpoena or pay a large settlement is staggering. There is no public defender to represent John Doe Defendants against Malibu Media, LLC in motions to quash, and so-called defense attorneys are using the $150,000 statutory damages these cases come with to manipulate those they speak to into settling the Malibu Media lawsuit. What many John Doe defendants have told me in response to the articles that have been written on “Turnkey” / “Settlement Factory” defense attorneys is that they have been overpaying to the tune of thousands of dollars per settlement because their attorney agreed to settle for a “per case” amount significantly higher than I know Malibu Media, LLC would have come down to in a settlement negotiation. 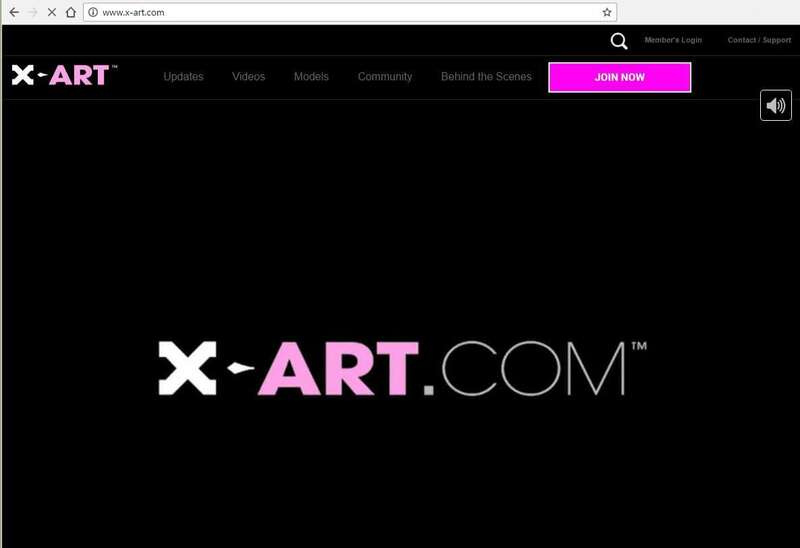 Screenshot from Malibu Media, LLC’s X-Art.com website. There are attorneys who have turned the copyright infringement lawsuits into ‘turnkey’ settlement operations, ‘riding the gravy train of a broken system’, as one prominent blogger correctly put it. These attorneys scale up and hire attorneys to answer phone calls, but instead of honestly evaluating the meritorious defenses of a would-be client, they scare, threaten, and apply high-pressure tactics to accused defendants manipulating them to settle the claims against them. Knowing that Malibu Media, LLC runs their settlement operations from a location above-the-head of the local attorney who is filing the lawsuit, their settlement prices have become well known. Defense attorneys have been known to offer their clients higher than normal settlement amounts in return for foregoing the need to actually participate in settlement negotiations. Thus, where a Malibu Media, LLC settlement would go down to $300 per title, the ‘turnkey’ or ‘settlement factory’ attorney will be more than happy to agree to a $600 per title settlement in return for a quick settlement. The problem is that Malibu Media asks for settlements for 20+ titles in a lawsuit, so a $600/title x 20 title settlement = a $12,000 settlement. That same so-called defense attorney will charge $800 for the negotiations ($400 x 2 hours, although 2 hours were not spent on the client’s matter), and the client will pay $12,800 total. However, if he hired an attorney who charged $2,400 ($300 x 8 hours), and the settlement ended up being $6,000 ($300/title x 20 titles = a $6,000 settlement), the extra few bucks paid to the attorney to actually negotiate the settlement would save the client a little under $6,000 than if they paid a ‘settlement factory’ attorney. In sum, the sign that you are dealing with a ‘turnkey’ operation or a ‘settlement factory’ is unusually low costs to represent a defendant in a settlement. NOTE: Don’t get me wrong, I am all for low-cost representation, but in a law firm, you pay for the time that attorney expects to spend on your case. If he is billing $400/hour (this surprised me too), and he charges a flat fee of $800, expect that only two (2) hours will be spent on your case IN TOTAL (including the so-called ‘free’ conversation. I have had too many run-ins with these attorneys and their methods, and all I can say is that they are part of the problem, not the solution. There is not much more to this topic than this. You get what you pay for. If an attorney charges a certain amount of money, assume he will be doing work on your behalf for that amount of time. Now obviously as a response to this article, the attorneys I am writing about will lower the per hour rate they charge and will claim that they are working more hours (as exposing a fraud usually causes the ones committing the fraud to shift to mask their scheme), but it is what it is. Representing a Malibu Media, LLC “John Doe” client in a settlement can take a number of hours. The simple steps of preparing the case, sending the letter of representation, opening up communications with the plaintiff attorney, discussing the claims against the client, negotiating a settlement price, writing up the settlement agreement, facilitating the settlement payment (or settlement payments), and seeing to it that the plaintiff attorney timely dismisses the client before the deadline to file an answer with the court passes (and all this time communicating with the client at each step), well, this obviously is not a two-hour representation. As a hint to what is coming for the Malibu Media, LLC client and our Cashman Law Firm, PLLC, we have been working on shifting our strategy in view of Matthew Sag’s “Defense Against the Dark Arts of Copyright Trolling” article, which we believe will change the way defense attorneys handle Malibu Media, LLC cases. Why I would not put Kodi on an Amazon Fire TV Stick. Amazon Fire TV Sticks and more recently, Amazon Fire TV Media Players (which as of writing this article (3/22/2017) can currently be purchased for $18/month) have been sold for years, and can be modified to permit the installation and use of the Kodi application. As many tech savvy guys and gals know, Kodi (formerly XMBC) can be used to add pirated content to be downloaded or streamed using the Kodi app. The problem with using Kodi on an Amazon Fire TV (or any media device, for that matter) is twofold. You are using a tracked device that you likely registered to your Amazon.com account. Kodi when installed on the Amazon Fire Stick uses the wireless connection provided to it, exposing the user to copyright infringement lawsuits. This is a no-brainer. To activate the Fire Stick, you need to register it with your Amazon.com username and password. Amazon knows this device belongs to you, and in a number of cases, it even comes pre-programmed to your Amazon account, so why would you use it to view copyrighted software without a license? All that would need to happen to sue an Amazon Fire Stick user is for a copyright holder to file a copyright infringement lawsuit against a John Doe, and then have the court authorize expedited discovery to allow the copyright holder to send a subpoena to Amazon.com asking it to disclose the identity of the owner of the Amazon Fire Stick. Amazon would happily comply just to stop you from using their device to pirate or stream copyrighted content without a license. Of course, there are ways to factory reset the device or deregister it from your account, but that is outside the scope of this article. When you set up your Amazon Fire TV Stick, you enter your wireless username and password. That way, your Amazon Fire Stick can connect to the internet automatically as soon as you plug it in. The problem is that any apps you use (here, Kodi), ALSO USES THAT SAME WIRELESS CONNECTION. This connection has your real IP address exposed and shared with the internet. Subpoena Amazon.com to have them expose the account information of the customer who purchased that particular Amazon Fire Stick. 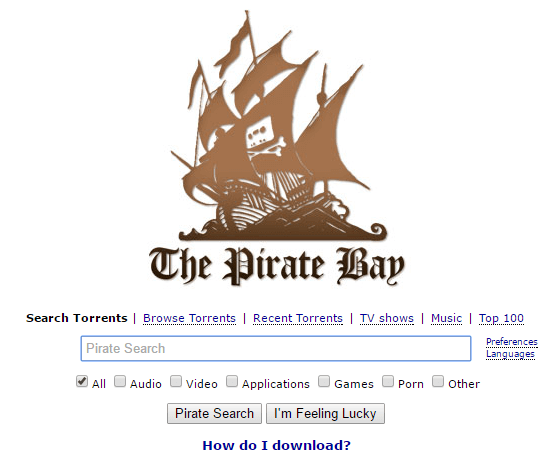 Technology in its current state does not make it easy or convenient for a copyright holder to go through the hassle of suing Icefilms, Putlocker, or any of the MANY providers of copyright-infringing content. Many of these providers are out of the U.S., and as such, it is difficult (not impossible) to get them to comply with a US-based court order signed by a US federal judge. Also, it is difficult to determine whether these sites even keep analytics or website logs to determine which IP addresses visit any of the pages on their websites. As soon as users start getting sued, no doubt these companies will shut off all website logging and analytics, thwarting any copyright holder’s attempts to identify the IP address of the Kodi / Amazon Fire Stick user. Lastly, it is an uphill battle for a copyright holder to fight a website provider to turn over the website logs exposing who is visiting their websites. This is why you do not see ANY copyright infringement lawsuits suing John Doe Defendants for the unlawful STREAMING of copyrighted content from software sources such as XBMC or KODI. For this reason, at the time I am writing this article, I cannot see how a user would realistically be sued for using Kodi on an Amazon Fire Stick. However, as technology advances and tracking methods improve to the point where a copyright holder will be able to identify the IP address accessing a website containing copyrighted materials, the threat of being sued for streaming content will increase. COMMON SENSE. DON’T USE KODI ON A FIRE TV STICK. Even though I just told you that you will likely NOT be sued for using your Kodi-enabled Amazon Fire TV Stick to view pirated content, I still caution strongly against using it without some additional steps. Why would you use a device that is registered to your name? Do you think that Amazon.com is your friend and would protect you if they realized you were using their device to pirate movies and music? And, why would you use a device that could expose your IP address to the world? Your connection to the internet would create a trackable line between your internet account and the server hosting the pirated content. Do you really think that your ISP isn’t snooping on you to see whether you are using their bandwidth for legal or illegal purposes? 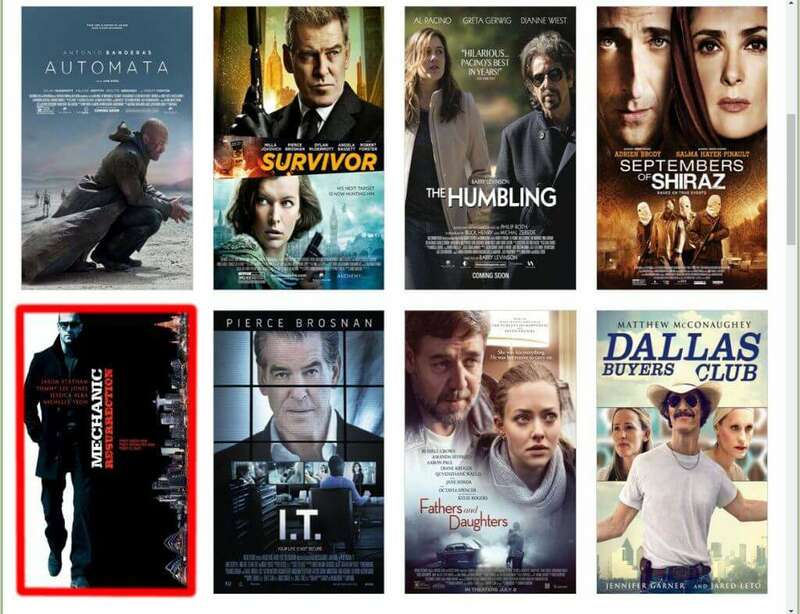 If somehow copyright holders figure out how to get the list of IP addresses who downloaded or streamed a particular movie, do you really want to risk being sued for $150,000 for copyright infringement? Common sense. Even if you will likely not be tracked or caught, DO NOT use devices which connect to the internet without using an encrypted connection. Your Kodi-enabled Amazon Fire TV Stick is one such device. Obviously this article is meant to alert users as to the dangers of using a Kodi-enabled Amazon Fire TV devices. It is not to teach you how to break the law and enable Kodi on your device. (I cannot believe Amazon is actually selling this ebook). For common sense purposes, if you are going to do anything that exposes your IP address to the public, use a VPN. A VPN is a Virtual Private Network which allows an individual to obscure his real IP address by connecting to the content desired by way of one or more servers. I will not go into how they work here, but for reputable VPN companies who do not keep logs on your activities, TorrentFreak writes a report every so often, and that report is a good resource. VPNs that keep your identity and your IP address private are PAID VPNs. Free VPNs have been known to turn over their user’s account information (as have various paid VPNs as well, which is why I suggested TorrentFreak’s list). If you were willing to learn how to program your router to route your internet connection through your VPN (most VPN providers teach their customers how to do this), then using your Kodi-enabled Amazon Fire TV device would be safe, and a user who uses this method would not need to worry or fear about being sued for connecting to the internet using the Fire Stick. Of course, keep in mind that it is still a dumb idea to register that same Amazon Fire TV Stick with your real Amazon.com account information. There might come a time where technology advances to the point where Amazon start ‘not liking’ their users using their Fire Stick for piracy purposes. Thus, if you were to deregister the Fire Stick, or to purchase it without connecting it to your account (e.g., checking ‘buy it for someone else’) when you check out, that will stop Amazon.com from preprogramming the Fire Stick with your account information. But still, you should still be cautious using an Amazon Fire Stick with Kodi (even with a VPN) because Amazon themselves might devise a way to track their own devices (if they have not done so already). In summary, Amazon Fire TV Sticks and better yet, Amazon Fire TV Media Players are wonderful pieces of technology. I own one, and current Amazon Fire TV Sticks even have Alexa built into them (a cool feature). 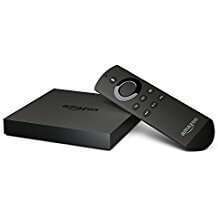 With an Amazon Prime Subscription (we replaced our Netflix subscription with this to get the free shipping and other benefits), you can view literally THOUSANDS of videos from the Fire TV Stick or Media Player. The Fire TV Stick itself is HDMI enabled, which means that it can plug into any old monitor, and that monitor will become an Amazon movie studio. We can even connect our Bluetooth speakers (think, Amazon Echo or ‘Alexa’) to the Amazon Fire TV Stick, and we have theater-quality movies and binge worthy TV shows, all available to be played in our living room. If I were a pirate, I would probably NOT put Kodi on my Amazon Fire Stick, even if I set up my router to route all internet traffic through a paid VPN. I personally simply don’t trust Amazon.com that they will not at some point become proactively ‘anti-piracy’, and I wouldn’t want to be the recipient of a subpoena letter indicating that I was sued for using my Fire TV Stick in an unlawful way. Nevertheless, if you are a regular reader of the TorrentLawyer website, you would not either. However, hopefully this article will somehow go out to people searching for “Kodi-enabled Fire TV Sticks,” and we will at least teach them that watching Kodi this way is a bad idea. Final Note, and Off Topic: I am not a Roku guy, simply because my Amazon Fire TV was given to me as a gift and I love the device. However, if I were to purchase a device anew, I WOULD probably choose the Roku Premiere+ Streaming Media Player simply because Roku is known to upgrade their devices every year, and Roku is simply a better company focused on making Roku Media Players (similar logic: I would go to a Chinese Food Store to buy Chinese Food). If I was just comparing an Amazon Fire TV Stick (considering that it has Alexa on it) and a plain Roku, since I have do have unlimited Amazon movies through Amazon Prime, and the Amazon Fire TV devices are supposedly faster, I’d stick with the Amazon. If I did not have Amazon Prime, I’d go with the Roku. Whichever device I had, however, I WOULD NOT PUT KODI ON IT.